Proudly supported by the Australian Indonesian Institute in 2018 this exciting new initiative will bring an Indonesian writer to Australia for a four-week residency at Varuna National Writers' House, a two-week placement at WestWords and participation in the Sydney Writers' Festival. The dynamism of Western Sydney is largely characterised by the interchange between cultural experiences and perspectives. The Executive Director of WestWords Michael Campbell, adds "WestWords is thrilled to be one of the partners facilitating this important exchange between Indonesia and Australia which will extend those perspectives into the immediacy of direct international collaboration. This opportunity will also have a far-reaching impact which will see the mutually beneficial strengthening of ties between the diverse artistic and broader communities of Western Sydney." There will be a reciprocal exchange for an Australian writer, who will spend up to five weeks at Komunitas Salihara multidisciplinary arts centre, before participating in the Ubud Writers & Readers Festival. "Tulis is a wonderful chance for an Australian writer to engage with two highly respected Indonesian creative institutions and we are very excited to have brokered this exchange with four incredible partner organisations" said Asialink Arts Director, Sarah Bond. "Tulis is a perfect example of the kind of programs Asialink Arts will be facilitating under out new Global Project Space model. We want to leverage opportunities with our collaborators in the region and provide opportunities for genuine creative exchange." 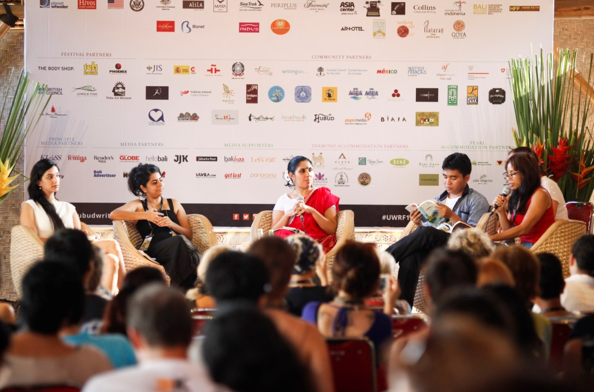 "Asialink Arts have been working with both Komunitas Salihara and the Ubud Writers & Readers Festival for several years and we are thrilled to be adding this new national opportunity to our program." Asialink Arts are inviting proposals from Australian and Indonesian writers between 11 September-1 October 2017 for the program in 2018. For more information please visit the Asialink Arts website. For queries please email Asialink Arts on arts-residencies@asialink.unimelb.edu.au or call +61 3 8344 4800. Tulis 2018: A writing exchange between Indonesia and Australia has received grant funding from the Australia-Indonesia Institute of the Department of Foreign Affairs and Trade.